Lady T has always had a passion for music from the moment she bought her first tape. Born and raised in Miami of Cuban decent, her love for music, art and culture began at an early age. Her musical education started with playing keyboard, which she did for several years until she took it to the next level. 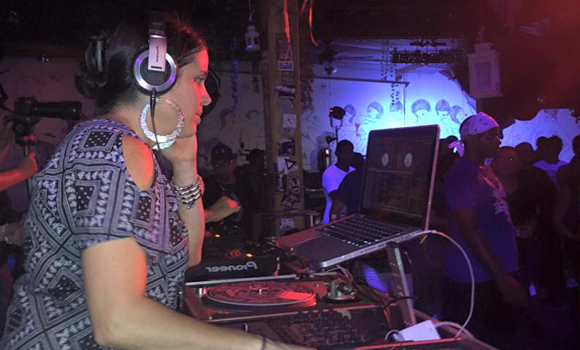 Lady T began DJ’ing over 10 years ago and has become a familiar face in the local Miami music/art scene. You can find her playing at venues all around Miami and also has a DJ company with her husband; playing at private parties, weddings and corporate events. She hosts online radio shows streaming from her home studio and has special guests DJs featured each week. As one of the co-founders of the Geishaz, she has worked with and helped promote other female DJs around the globe. She also is the founder of The Electric Ensemble, the first ever DJ band. Lady T is a cornerstone in Miami’s music scene and her love for the music runs in her blood. Her passion for a rich and cultural community shines through her. Working as an elementary art teacher, she helps raise cultural awareness in the future leaders of Miami.